If you regularly get behind the wheel while drinking alcohol chances are you will someday be stopped by the police. You will probably be asked to take a roadside sobriety test, a breathalyzer test or a blood or urine test. Your initial reaction might be to do nothing that would incriminate yourself. After all, this is the United States. We all have the Fifth Amendment right against self-incrimination, correct? You may also be thinking that if they don't have a breath test or blood-alcohol test results to use in court, they will have no evidence that you are intoxicated, so they can never get a conviction. All you have to do is stick to your story that you only had a couple. You would be wrong on both counts. The legal point that you may be overlooking is the fact that driving in this country is not a right, it is a privilege. That privilege is granted to you by the state in which you live after you meet certain conditions, such as passing a written and/or driving test. You are also not granted the privilege to operate a motor vehicle unless you agree to abide by certain regulations and conditions. In all 50 states, those conditions include something called "implied consent." You may not have noticed, the last time you applied to renew your driver's license, but you signed an agreement in which you promised to the implied consent laws of your state. It was there, in the fine print. Carrying a driver’s license and proof of insurance and producing them when asked by law enforcement. Consenting to blood, urine, and/or breath tests to determine your blood-alcohol content if asked. Performing field sobriety tests when requested. In some states, the implied consent terms are printed on the back of your driver's license itself. Regardless of what the implied consent laws are in your particular state, you are subject to those in the state in which you are driving. Even though you agreed to abide by these conditions when you applied for a driver's license, you can still refuse to take the sobriety tests, but in every state, refusing to submit to such testing is itself a violation which carries its own penalties, regardless of whether you are convicted of drunk driving or not. It's the job of our law enforcement officers to keep the roads safe for everyone. If the officer believes that you are intoxicated and a danger to yourself and the public, he can arrest you just because you refused to take the tests. In some states, the officer can immediately confiscate your driver's license as an administrative, not criminal action, because you broke your written promise to submit to such testing when you applied for that license. You may be thinking that is a violation of your right against double jeopardy and being punished for the same crime twice. But in most states, taking away your driving privileges has been set up as an administrative function of the department of motor vehicles and not a function of the criminal court. After all, the DMV granted you those driving privileges, it can take them away. If you refuse the officer's request for sobriety testing, your license can be immediately suspended for six months to a year, depending on the laws of the state in which you are arrested. You may also have to pay fees and penalties before your license can be returned. Again, you may be thinking that you can live with the license suspension and other penalties involved in refusing to be tested, but you need to avoid a DUI conviction at all costs, so refusing to take the test will eliminate any evidence against you in a court of law. That's not exactly correct, either. Courts will convict drivers of driving under the influence based on the officer's observations both prior to pulling you over and during the arrest. His statements that he smelled alcohol, that you were slurring your words or unsteady on your feet can all be considered evidence. And don't forget that most police cruisers today are equipped with dash cams. Many a DUI attorney has had to back off trying to negotiate a plea deal after seeing the video of their client during the arrest. 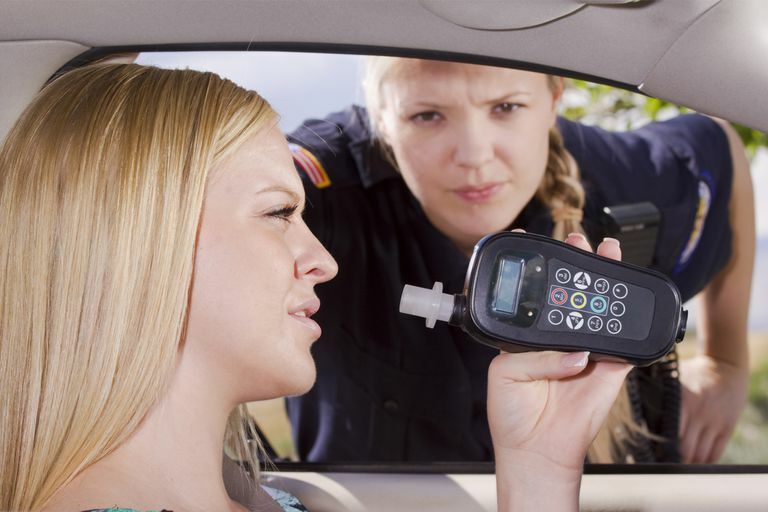 In the crackdown on drunk driving, some states have now developed "No Refusal" strategies, in which they can obtain immediate search warrants to obtain blood samples from drivers who refuse to take breathalyzer tests. During targeted periods, usually around holiday weekends, judges remain on-call to issue search warrants on the spot, to streamline the due process procedures. The result has been more guilty pleas and fewer DUI trials. In some jurisdictions, the fact that you refused to take the requested tests is itself evidence of your guilt. Your refusal to submit to blood-alcohol concentration testing is seen in some states as an admission of guilt that can be used against you at trial. In all states, if you refuse to be tested, the penalties will be more severe if you are eventually convicted than they would have been if you had submitted to the tests in the first place. The bottom line is, refusing the take the sobriety tests is going to cost you more in the long run - larger fines and fees, longer license suspension and possibly longer jail time if it's not your first offense. If you are stopped, go ahead and take the tests. Who knows? If you only had a couple, you might pass.